How To Choose A Self-Build Architect For Your Project? When you decide to build your own home, one of the first and most crucial decisions you will have to make is to choose the right professionals to help you – and we feel that the most critical is the Architect… Ok, we would say that! However, it is not an easy task to choose a specialist perfectly suited to your needs, coupled with the added pressure that this decision will be fundamental to your project’s success. To help you in this process, we have prepared a series of three articles where we will guide you through the process. This article (the first) will explain how to choose a self-build architect for your project. 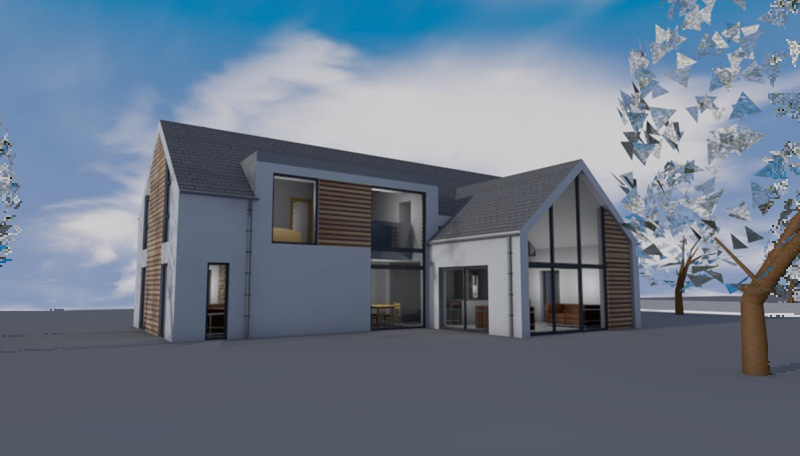 The second article will provide details of the co-operation required with a self-build architect and the final will explain the costs associated with their fees. In this series we will give you our honest advice, we will even advise you on who you should interview! WHAT DOES A SELF-BUILD ARCHITECT DO? The vast majority of self-builders have never built a house before, so undertaking their first self-build project is a huge challenge. Many have also never worked with an architect before, so they do not know what services an architect can provide. In brief, an architects role is to understand your requirements and then visualise your dreams and aspirations. An architect has had over 7 years of training (minimum) in all areas of design and construction so that they can provide a service on whatever design challenge is put in front of them. 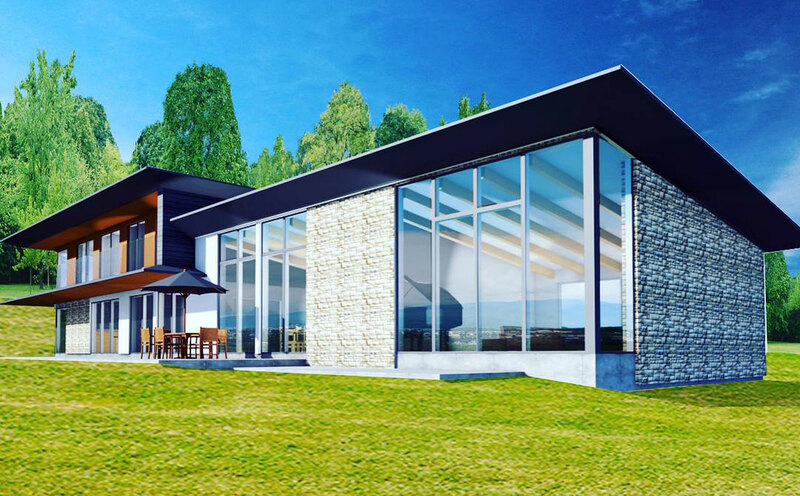 The architect will take your initial project brief (ideas, requirements and budget) and the site information, then will come up with various design options for your consideration. That preferred design (after careful consideration and review – by you the client) will then be taken through the Planning and Building Warrant (or Building Regs in England) approval process. Then provide you with detailed construction drawings suitable for building. Your architect can also assist with on site supervision, act as the project manager and Principle Designer. 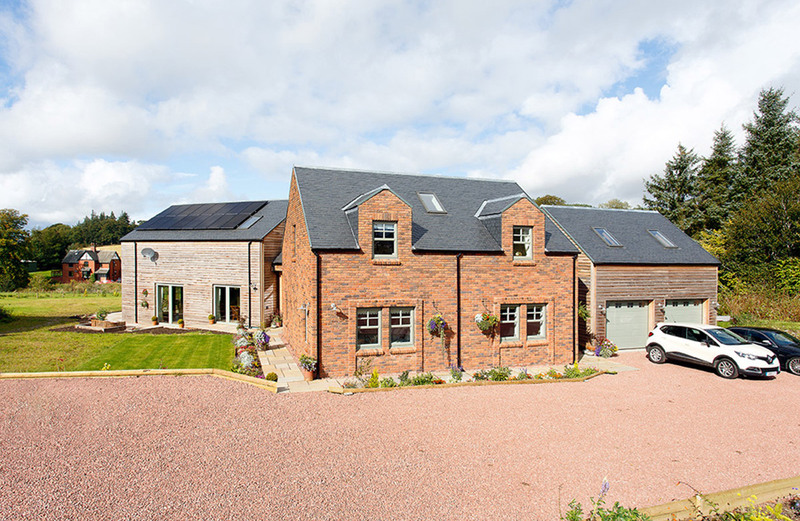 Here is the first tip for you as a self-builder – consider practices that specialise in designing low energy self-build homes, as their services are tailored to their individual client’s needs. WHATS THE DIFFERENCE BETWEEN A REGULAR ARCHITECT & A SELF-BUILD ARCHITECT? You can use any architect to help you with your project. However, it makes sense to use the best-suited professionals for your specific project. 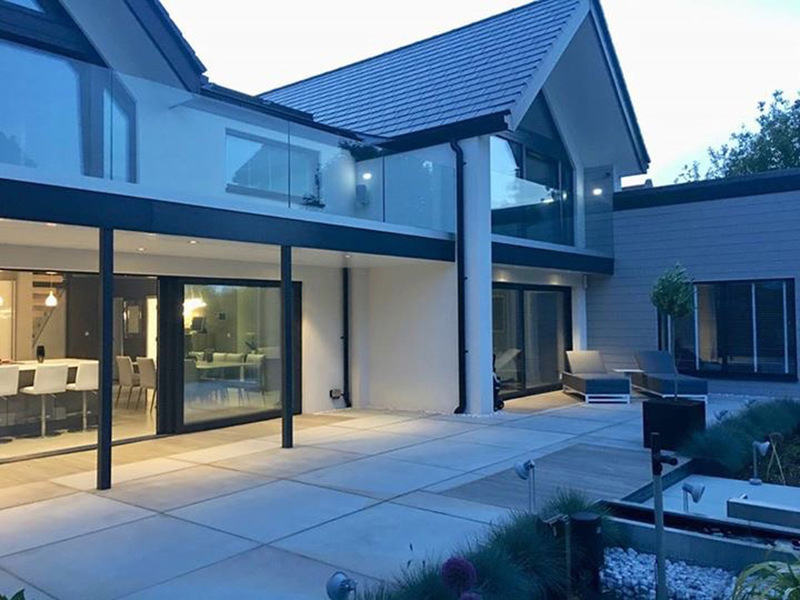 A normal architect can and will regularly design one off homes, and this is fine if you are going down a traditional main contractor build route – ie you hand the drawings and a large sum of money over to a contractor and they give you a set of keys back, to your finished home. But if you are building your dream home as a self-builder, then you need more assistance, guidance and education throughout the process. You will also expect to be much more involved in the design process: you will pick materials and often come up with innovative ways to procure materials! Regular architects are not used to this and will not be able to hold your hand throughout the difficult ups and downs of a self-build adventure. The same thought process applies if you are trying to build a low-energy home. If you pick a traditional architect with no Passive House or Fabric First knowledge, then you cannot expect to get the right design. There are a plenty of options when it comes to architectural services, all with their pros and cons. Like with everything, it is crucial to conduct thorough research of all available options before contacting practices. We advise to compare at least 4-5 different companies and from our experience, the cheapest is never the best option. The saying “you get what you pay for” can painfully ring true. Choosing an architect should not be cost driven. Remember that you are going to spend 1-2 years of your life working with your architect. This is why it is essential to speak to several practices and contact their clients to find out how they have performed and if they would recommend them. Also, it is a good idea to visit some of their current onsite projects, that way you can see the work and gauge how they have performed. Do not be put off if there have been problems on a project (as unfortunately, this can and will happen), we think it is more important to know about issues and how a positive outcome has been achieved. You need to make sure you are appointing people who will work as part of a team, even when things are going wrong – rather than pointing fingers! If the architect is a member of the Royal Institute of British Architects (RIBA), you have additional security as it certifies that the practice complies with strict criteria in terms of insurance, health & safety, and quality management systems. Check that they have adequate Professional Indemnity insurance that will cover your project if they make a mistake, this should be substantially higher than the rebuild cost of your potential home. Once you have narrowed down your search to say 3 suitable practices that you want to work with, you must get a fixed fee proposal. This will outline the stages included along with associated costs. Remember that it is not a good idea to appoint an architect on a % of construction basis – if you do this there is no benefit for the architect to save you money… as it directly affects their income! We are proud of our service and the houses our clients create, so obviously, we hope that you will consider working with ACA to realise your dream home! Most architectural practices will provide a free initial consultation to talk about your project, treat this as an initial interview . This will be very beneficial in assisting you to make a decision and to see whether you will be able to build a good working relationship with your architect. To help you get the most from an initial meeting you should create a design brief that will help you to discuss your preferences and to see whether the architect understands your vision. The brief for the initial consultations with your architects’ shortlist does not have to be very complicated. Simple information such as the number of rooms, the layout, architectural styles you like and do not like should be enough. It is a good idea to compare this to the architect’s portfolio to see whether this particular practice looks confident with the style you like. The rule is simple – if you like their portfolio, the chances that the practice is capable of meeting your expectations are high! You can also bring magazine clippings to show your preferences or create boards on Pinterest and share them with the architect (Read the article about Pinterest here). It is also important to describe you and your family’s lifestyle in order to design a home that suits it best. Depending on the practice, some may still work on traditional drawing boards, presenting the design options as 2D line drawings. This is fine if you are used to looking at technical drawings. However, (like most) you have never read a set of drawings it might be useful to see your house in a 3-dimensional model. 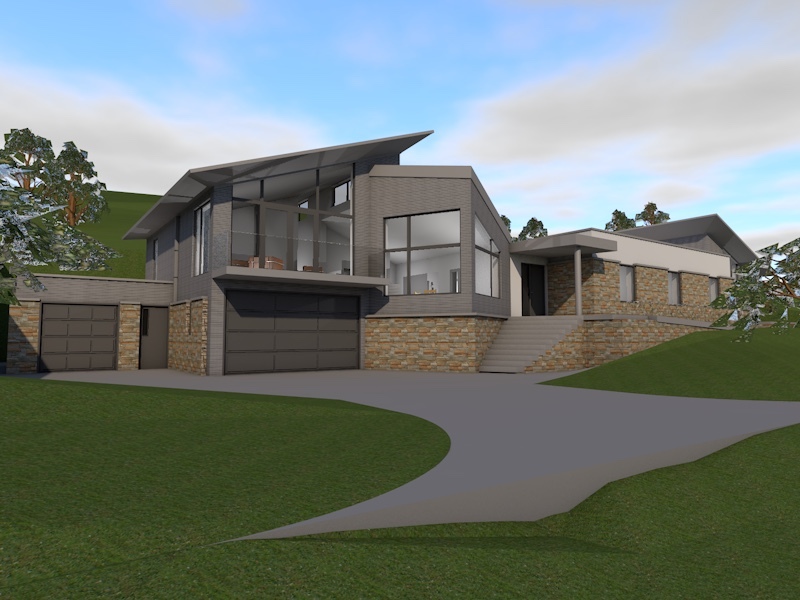 Modern design software such as Archicad and Revit allow architects to explore and present your design to you in 3D, either via photo-realistic images or by walking around the house on a laptop or iPad. These 3D models can include detailed site topography and even furniture – this can give a much more in depth and realistic insight of your proposed dream home. VR (Virtual Reality) will be the next big development in architecture, allowing you to effectively step into your future home… watch this space! 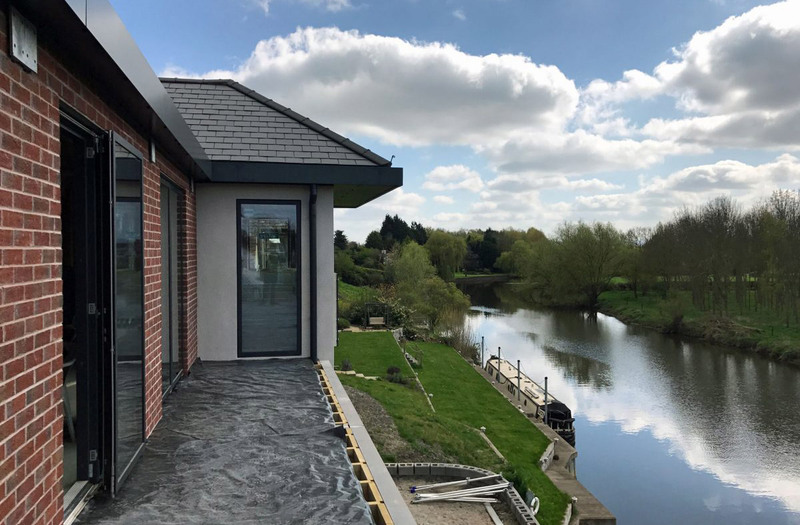 After the initial consultations with your desired architects, you should have an impression of which one understands your vision and is the best fit for your Self Build. The last thing to discuss with your preferred architect is timescales. Do not be surprised if your preferred choice can not start your project for 4-6 weeks – if they can start tomorrow then maybe they aren’t the right practice to be working with! Prior to finally appointing your architect, it is important to find out who you will be working with in that practice. Do not be surprised if it is not the Director of the practice that you met initially, and your project was handed over to another person within the practice. This should not be a concern, as long as you have researched the whole team and met the person you will be working with. If you are going with a small practice (2 or 3) or a sole practitioner, make sure that they can cope with their workload and will give your project the priority it should! When you are ready to make your appointment – make sure you do this in writing or via a Standard Form of Agreement… Good luck and remember, take time picking your self-build architect! What is your experience of choosing an architect for your project? Do you have any other tips that may be useful for a self-builder who is looking for the right architect? Maybe you have more questions? If so, do not hesitate to ask them in the comments section. 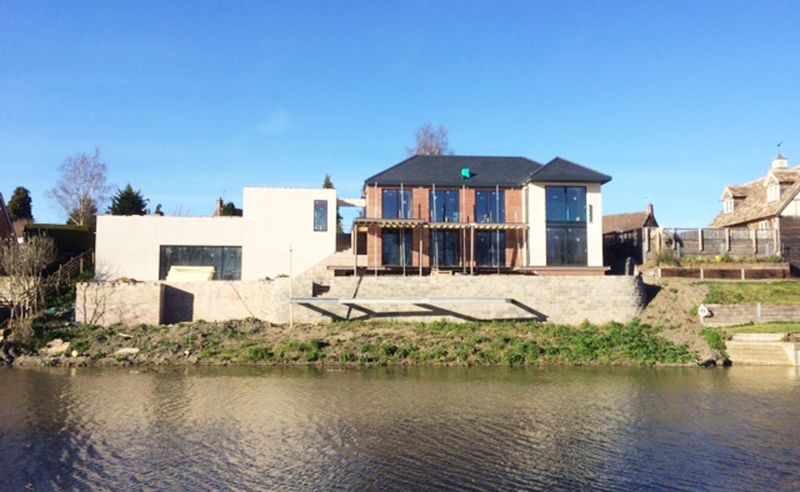 Learn more about developing a Self Build! Download ACA’s ‘Introduction to Self Build’ eBook!